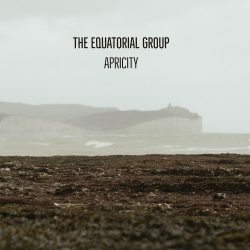 The Equatorial Group’s self-funded debut album ‘Apricity’ does not fit neatly into a particular genre of Americana, having a distinctly psychedelic acoustic sound. ‘Motorbikes’ is the closest to a country-Americana song with the opening guitar picking of the track similar to an old-school country song. The ten track album from the five-piece band does not have a set sound. Some tracks like ‘Farewell My Lovely’ are purely acoustic with the vocalist sounding similar to the likes of Dido with a breathy vocal and simple guitar background, while the likes of ‘Burning’ is more of a jazz number with the use of brass instruments playing in the background of the piano. There is a mix of everything in the album: jazz, folk and psychedelic music – with pedal steel used in almost every song. With the variety of sounds on offer, listeners may find it hard to engage with the full album in one sitting. Overall there is a heavy folk influence on the album which stands out more than any reflection on Americana music.